Ready for Brexit is independent and objective with no political agenda. 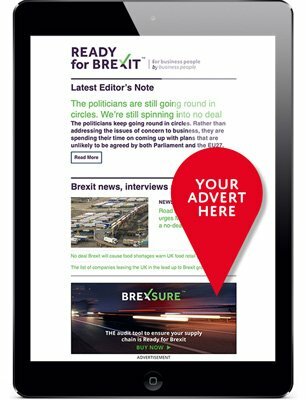 The website was set up to help businesses and organisations manage the challenges and opportunities that Brexit will create. The content ranges from news and analysis to proprietary tools to help business plan and manage. As the clock ticks towards Brexit and beyond the website is generating a lot of interest. The traffic is growing at a fast rate as more business people are gearing up to navigate their way through Brexit. 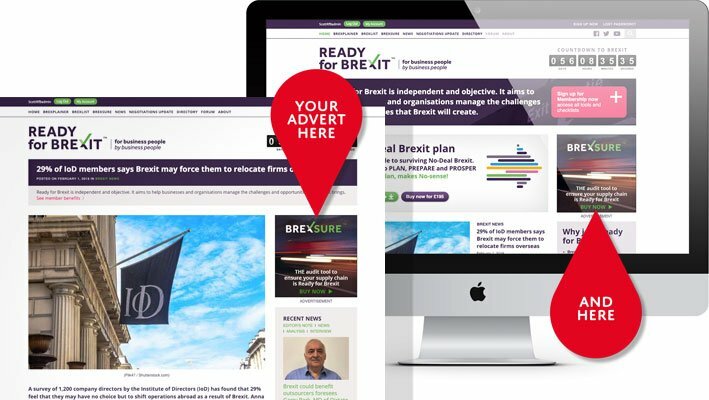 If you offer services targeted at businesses that need to deal with Brexit then Ready for Brexit is the ideal platform for advertising those services. Your advert will appear on all pages where content is being served to users, both free to air and paid for content, and we will provide you a report showing how many times your ad was viewed and how many times someone clicked on it. The newsletter is sent out once a week to anyone who has registered to receive it via email. The recipients are therefore engaged with the topic and are keen to be kept up to date with Brexit and the tools available to subscribers. Your advert will appear towards the top of the newsletter within the editorial content.